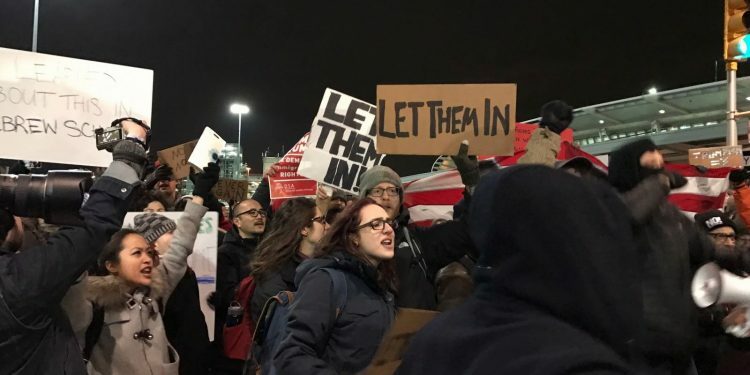 The nationwide actions on Saturday night at airports from LAX to JFK surprised everyone. 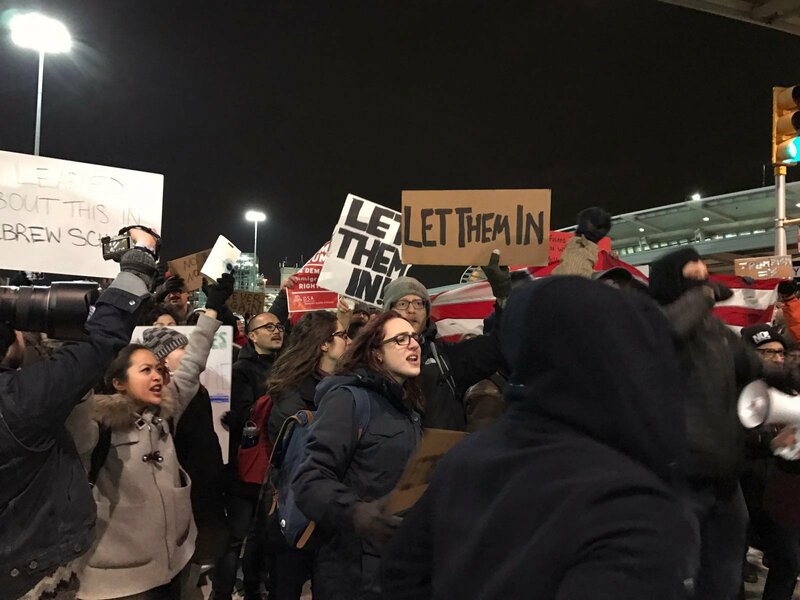 The Trump regime, immigration authorities, and local police all appeared caught off guard by the thousands of people rushing to their local international airport to obstruct enforcement of the executive order. Activists at the terminals and online were no less shocked by the speed with which the actions grew. Michael Moore tweeted, “Big anti-Trump protest forming out of nowhere! Ppl mobilizing against Trumps’ Muslim ban.” And more surprising still is that the demonstrations worked. Mass action effectively shut down major national transportation hubs and obstructed immigration officials long enough for legal stays to temporarily block Trump’s executive order. These spontaneous mass actions worked. They won a tactical victory in what is going to be a long battle against the Trump regime. For this reason, it is important to appreciate how these actions were anything but sui generis. The social media networks that were mobilized, the nonviolent discipline exercised, the human microphone crowd communication used, and the fast legal action taken were the fruits of a long series of less conventionally ‘effective’ protests: the Women’s March, the post-election protests, and two years of #BLM actions. In fact, Saturday night’s successes are the result of actions reaching back to Occupy. All of these, from the Women’s March to Occupy, were events where people came together, acted, and failed to achieve tangible results in either policy goals or political decisions. But there is an immense, intangible value to political experiences like these. It is in these experiences of “failure” that people learn how to become political. These failures are through experiments in doing politics — they till the soil of possible future successes. It was in actions like #BLM and the post-election protests that people discovered new interests, developed new capacities, and forged the new solidarities to act when emergency strikes — like it did two nights ago. It is these preparatory actions that provided both the will and the skills to make last night happen. John Dewey wrote that all political action is experiment. Which means that action like a demonstration is not merely the means to achieve some definite ends. It is a process of experimentation. Certainly there is the hope, the attempt to “get something done,” but the value of demonstrations is found in the process no less than the product. And the process is itself formational and transformational. The interests and concerns that drew people to Saturday’s public actions were not only formed by past actions — they were transformed again two days ago. In their public action these men and women and children learned new skills, developed new capacities, found that their demands became more pointed and more powerful. In a phrase: they discovered who they could become. This is what Dewey meant when he described democracy as an experiment in enriching collective experience. He meant that democracy is a trial in learning to use power creatively and intelligently, in becoming more capable of acting together in response to common problems. Democratic ends — the enrichment of public life and the expanding equality of political power – are the fruit of interminable experiments with democratic means. Saturday night’s success should not persuade the left that only success lies ahead. Failures will come and there will be many. 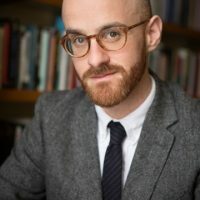 But rather than celebrate these failures, as the left narcissistically often does, or imagine such moments as last night successes as unpredictable, ‘fugitive’ eruptions of the demos, we instead need to think about how we can turn even our failures into victories by viewing them as parts of a long process of learning to fight power together. As Saturday night dramatically demonstrated, tactical successes are important. But let’s not lose sight of the value of just getting people together, in the streets, as often as possible — whether it ‘works’ or not.